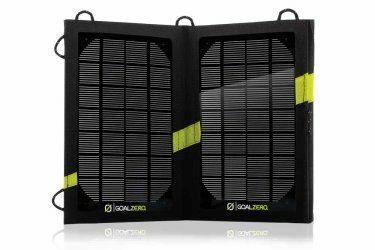 When it comes to the mobile solar charging game, I think that Goal Zero has consistently pushed the limits with their product lines. Waterproof, integrated all in one, fold-able, and rugged. To be honest, there’s not much to a charger like this. The job of the charger is to supply amperes to the battery or device being charged. The goal most of the time is to have more amps getting sent to the battery or device as you can! 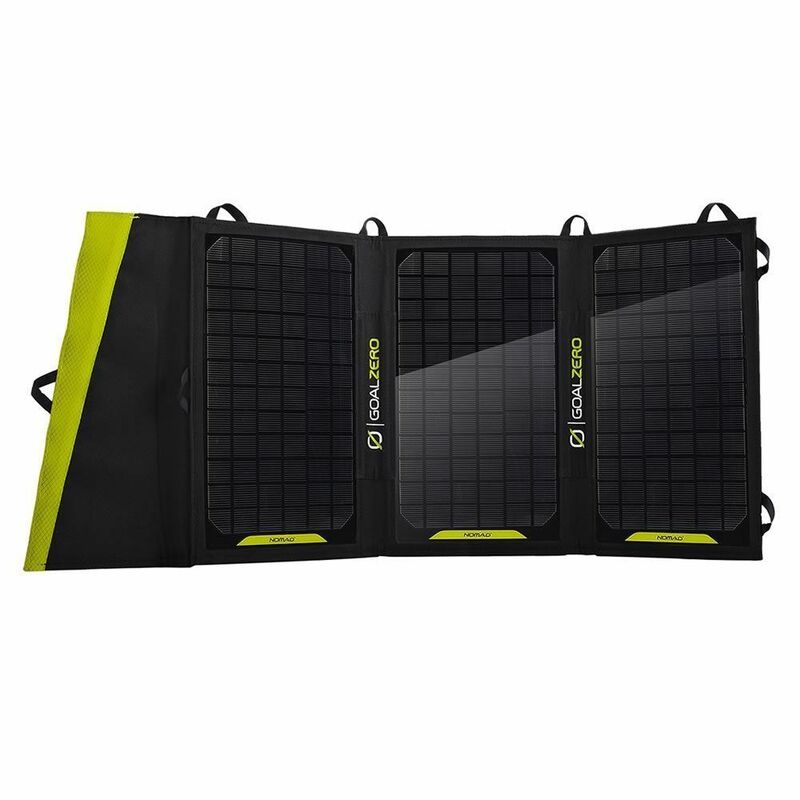 Goal Zero currently has 3 solar panels in their Nomad line that can fold up nicely to relatively easy transportation, but they also have 2 more higher output panels that are pretty big. Normally, the problem with a solar panel is that it’s just a solar panel. There’s nothing attached to it, there’s no regulation, there’s no proper connector to charge your device with. 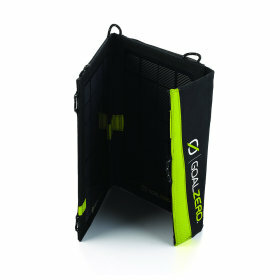 Goal Zero has thought of this, and they’ve made their solar panels into chargers too. 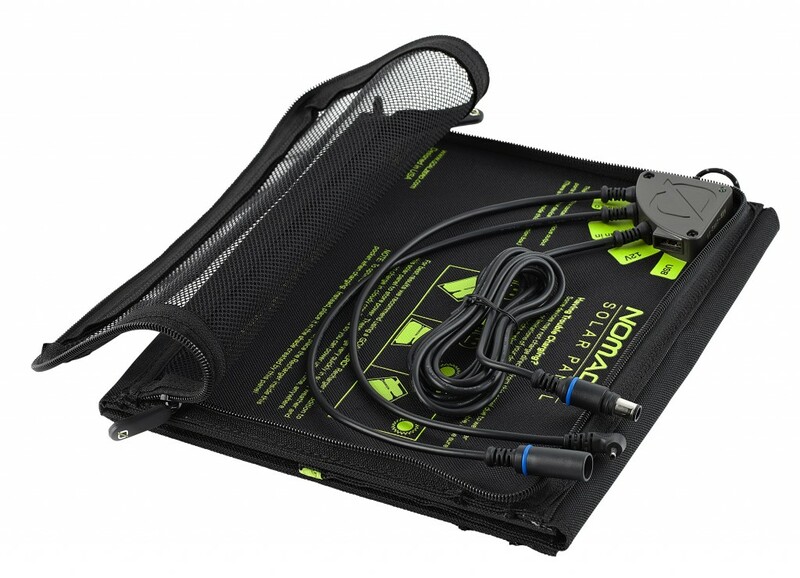 You can clearly see in the image above that the Goal Zero Nomad is equipped with a full charging station AND the ability to run these panels in series (see chaining input) – so you can connect up to infinite amount of panels together to make a larger Amperage output (quicker charge time). Also note that there’s a 12V output, a USB output, and a connector specific to their own battery power packs called the Guide (10). If you’re a tech person, you can see that the USB port for charging is better then most USB power converters that you plug into the wall. Typically those have 0.5 A – 1 Amp output. The difference for the other panels seems to be the Solar Port output, since the USB port and Mini Solar Port are regulated due to the specifications of that connection type. Of course, these technical specs are most likely the max in direct bright sunlight, so it’d be safe to assume that most operation of the panel would be slightly lower output, but still. If we take a 75% output power loss, we’re still left with a 5V 0.75A USB terminal. This means your smartphone will charge in about 4 hours. Have you used these solar power packs?